It is a bit of a bushwack into this location. I started on what seems to be an abndoned trail going off from the observation deck at Bass Harbor light. About 1/2 in discovered carin markers on trail lead to the summit and the pipe. 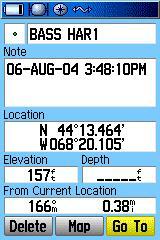 Photo shows waypoints and OJBlaze I found by side of road having taken a westerly heading from PE1836. Started on path that deadended in massive windfall that I had to climb through to get to road. Could not find road-path that appears in photo. DESCRIBED BY COAST AND GEODETIC SURVEY 1902 ON A HILL ON BASS HARBOR HEAD, MOUNT DESERT ISLAND, ABOUT 300 METERS NE OF THE LIGHTHOUSE. THE SUMMIT OF THE HILL IS BARE AND ROCKY AND THE STATION IS A COPPER BOLT SET IN A HOLE IN A ROCK. RECOVERY NOTE BY COAST AND GEODETIC SURVEY 1934 (KGC) ON BASS HARBOR HEAD WHICH LIES IN THE MOST SOUTHERNLY TIP OF MOUNT DESERT ISLAND AND WHICH LIES BETWEEN BASS HARBOR AND SHIP HARBOR. 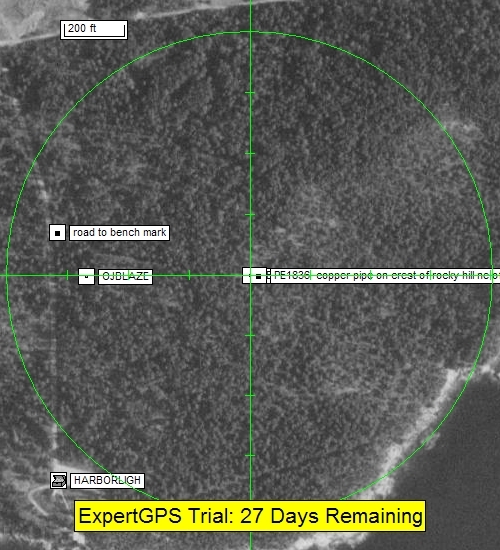 THE STATION IS IN A CLEARED AREA, SURROUNDED BY TREES AND ABOUT 1/4 MILE N OF BASS HARBOR HEAD LIGHTHOUSE. 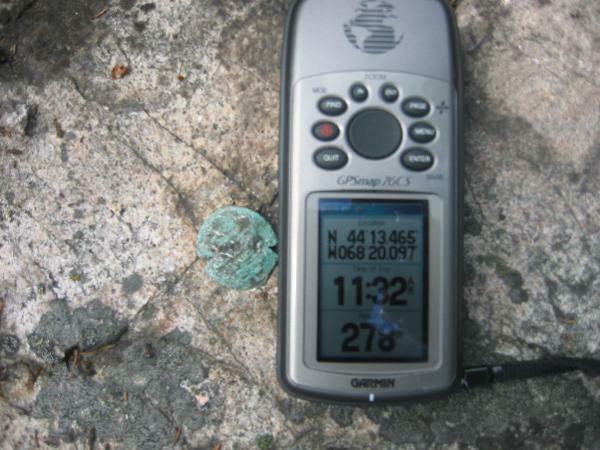 THE STATION AND REFERENCE MARKS ARE STANDARD BRONZE DISKS WEDGED IN DRILL HOLES IN OUTCROPPING BEDROCK. THE REFERENCE MARKS WERE ESTABLISHED IN BARE LEDGE. TO REACH FROM SOUTHWEST HARBOR, GO S ON HIGHWAY 102 ABOUT 2 MILES AND TURN LEFT AT SIGN MC KINLEY 1 MILE. FOLLOW 0.8 MILE AND KEEP LEFT FORK. CONTINUE 0.7 MILE AND KEEP STRAIGHT AHEAD ON DIRT ROAD WHERE MAIN ROAD TURN LEFT. FOLLOW 0.5 MILE TO A TRIANGULAR BLAZE ON LEFT AND FOLLOW CLEARED TRAIL E 0.1 MILE TO STATION. A 30-FOOT TRIPOD AND SCAFFOLD WAS ERECTED OVER THE STATION IN 1934. RECOVERY NOTE BY COAST AND GEODETIC SURVEY 1944 (FLP) STATION AND REFERENCE MARKS RECOVERED IN GOOD CONDITION AS DESCRIBED BY K.G.C. IN 1934. RECOVERY NOTE BY US POWER SQUADRON 1988 (ELG) RECOVERED IN GOOD CONDITION. 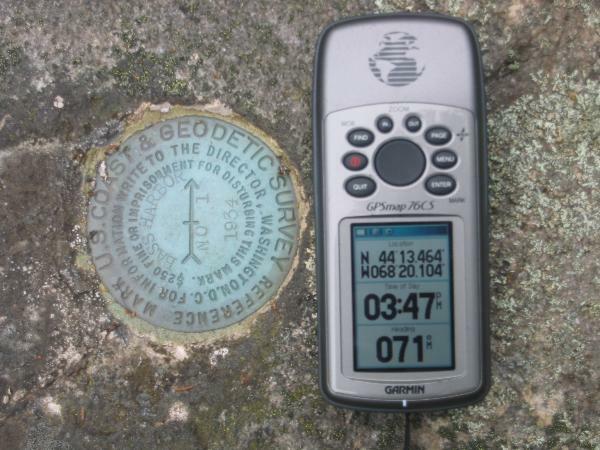 The horizontal coordinates were established by classical geodetic methods and adjusted by the National Geodetic Survey in March 1998.